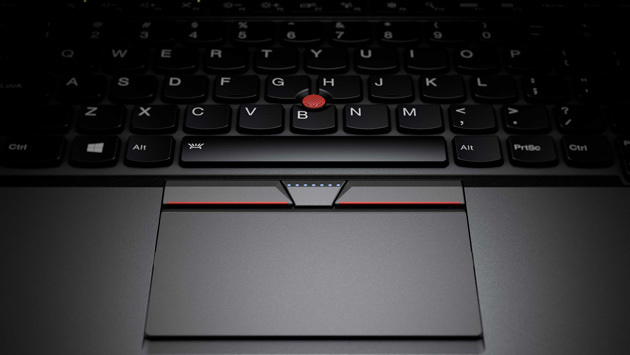 You haven't known a fanboy until you've met a ThinkPad fan. The brand's loyal following (many of whom started as IBM users) can be very resistant to change. How resistant? Let's put it this way: Anytime the brand's current owner Lenovo so much as redesigns the touchpad, it does so at its own peril. That being said, Lenovo may have gone too far with last year's X1 Carbon. With the 2014 edition of its flagship business Ultrabook, Lenovo ripped out the physical Function buttons, leaving users with an "adaptive" panel whose touch-sensitive buttons changed depending on the task at hand. We weren't fond of it, and apparently real-world users weren't either: The company just unveiled the 2015 edition, and it brings back the physical function keys you all seemed to miss so much. Additionally, Lenovo undid some of the changes it had made to the touchpad. Whereas the last-gen model had a clickpad with zero buttons, this year's model returns the two right and left clickers that used to sit at the top of the pad -- the ones meant to be used with the signature red pointing stick. Other than that, this is basically the same X1 Carbon already on the market: a 2.8-pound carbon fiber machine with an optional 2,560 x 1,440 touchscreen and Intel Core processors running under the hood. (These are Intel's fifth-generation Broadwell processors, which will probably see their formal debut here at CES.) As for configuration options, you can get it with either 4GB or 8GB of RAM, along with either a regular solid-state drive (128/180/256/360 gigabytes) or a faster PCIe-based SSD (256GB or 512GB). Finally, you can get it with an LTE radio, in case you don't want to be at the mercy of nearby WiFi hotspots. Look for the updated X1 Carbon to land this month, starting at $1,249. Lenovo also made some changes to the rest of its ThinkPad lineup, from its other Ultrabooks to its lower-end business notebooks. Starting with the ultraportables, the 12.5-inch X250 replaces the X240, while the T450s is an update to the T440s. At 2.88 and 3.5 pounds, respectively, both are ever so slightly lighter than the machines they replace. Both make use of Intel's new Broadwell processors, as well as Lenovo's existing "Power Bridge" technology, which combines a built-in battery with a swappable one, allowing you to insert a fresh cell without shutting down. Additionally, both will be offered with a choice of spinning, hybrid and solid-state disk drives, along with an optional backlit keyboard. The main differences are size (obviously) and screen resolution; as the larger of the two machines, the 14-inch T450s starts with 1,600 x 900 resolution, whereas the X250 comes standard with a lower-res 1,366 x 768 panel, though both can be configured with a 1080p touchscreen. These also go on sale this month, with the X250 starting at $749 and the T450s going from $999. Moving on, the 14-inch T450 and 15-inch T550 are also technically Ultrabooks, though they sacrifice some portability in the name of stronger performance. The two weigh in at four and five pounds, respectively, but in exchange will be available with optional discrete graphics, as well as a 3K screen on the 15-incher. These too will run Intel's fifth-gen Core processors, and feature Lenovo's Power Bridge technology (exact battery life TBD). They're also set to arrive this month, starting at $799. Finally, the lower-end machines. The 14-inch E450 and E550 pack fifth-gen Core processors, just like all the other machines here, except they're heavier, at 4.0 and 5.2 pounds. They're also missing certain niceties, like backlit keyboards and touchscreen displays. If you can live without that stuff, though, you'll get a built-in Intel RealSense depth-sensing camera, along with optional discrete graphics, up to 16GB of RAM and up to 1080p screen resolution. Those start at $449, and will be available this month. In addition, there's the 14-inch L450, which weighs in at 4.25 pounds and will also feature Broadwell processors, optional discrete graphics, up to 16GB of RAM and up to 1,920 x 1,080 screen resolution. No word exactly on how much that'll cost, but Lenovo's positioning it as the value-priced option in its lineup, which means a sub-$500 starting price is probably in order.